Pamela W. Duncan PhD, FAPTA, FAHA is a nationally and internationally renowned expert in health policy, outcomes research and clinical epidemiology. Her expertise is in post acute management of the elderly and individuals with stroke and falls management and prevention. She is Professor of Neurology and Senior Policy Advisor for Transitional Outcomes for Wake Forest Baptist Health. Her secondary appointments are in the Division of Geriatrics and Gerontology, Division of Public Health Sciences, and the Translational Sciences Institute. In 2012, she was selected by the Centers for Medicare and Medicaid Services (CMS) to its Innovation Advisors Program. Duncan was one of 73 health care professionals chosen from 920 applications through a competitive process, to lead pioneering work that tests new models of care for those who are covered by Medicare, Medicaid and Children’s Health Insurance Program (CHIP). In November 2013 she was selected for the Roster of Fulbright Specialists to be eligible to collaborate with global partners to develop and lead interdisciplinary seminars and to develop curriculum to prepare the next generation of clinical and public health providers to: 1) practice as teams, 2) manage the multiple factors contributing to the public health challenges of a growing aging populations and 3) develop integrated systems of care to manage functional status of patients across the continuum of care. Dr. Duncan’s has led or co-led multiple studies related to falls in the elderly and stroke survivors, She has developed measures of balance and stroke outcomes, analyzed the physical determinants for falls in the elderly, evaluated the benefits of strength training to reduce falls, and developed international trials to evaluate home based exercise for those who suffered an injurious fall. She is currently a member of The North Carolina Falls Prevention Coalition which brings together researchers, planners, health care providers, housing specialists, aging services providers, and many others to work together to reduce the number of falls and fall-related injuries for North Carolinians. She is a collaborator on a 2 year CDC grant to increase access to evidence-based fall prevention programs for older adults and adults with disabilities to reduce falls risk and falls, and create integrated, sustainable evidence-based prevention program networks in North Carolina. She is an investigator for the PCORI Falls Prevention Grant (STRIDE) Her role in the STRIDE project is to support implementation of best practices for physical interventions to reduce falls as well as collaborate with home health agencies to implement evidence based falls prevention programs in collaboration with primary care. She is the principle investigator of a 2015 PCORI funded large pragmatic trial to implement and evaluate an evidenced-based COMprehensive Post-Acute Stroke Services (COMPASS) model. This model of care combines CMS transitional care services provided by advanced practice providers (APP) and early supported discharge services coordinated by the APPs to develop with patients and families actionable care plans. Care plans will be individualized to manage blood pressure and diabetes, manage medications, increase physical activity, reduce falls risk, optimize functional recovery and optimize access to primary care and community based services. The COMPASS trial was developed and will be implemented in collaboration with North Carolina Justus Warren Task Force, the NC Stroke Care Collaborative (NCSCC) ,Wake Forest Baptist Medical Center Comprehensive Stroke Program, UNC School of Public Health, East Carolina Centers for Health Disparities, and the Duke University School of Nursing. The cluster randomized trial will include over 50 North Carolina Hospitals and over 6000 patients. Dr. Duncan‘s also focuses on the development and implementation of strategies to improve care and functional status for individuals at the highest risk for hospital readmissions, especially the Medicare/Medicaid dual eligible. Over the past four years she has developed coalitions of health care providers, payers, and community based organizations to integrate medical care and community services to improve health management of medically and socially complex patients. She led community efforts in the NorthWest Triad of North Carolina to successfully implement a community wide root cause analysis of readmissions and then developed and implemented community based programs to create innovative solutions to reduce hospital readmissions. She was executive director of the steering committee to develop and to successfully receive funds for the CMS Partnership for Patients Community-based Care Transitions Program (CTTP). 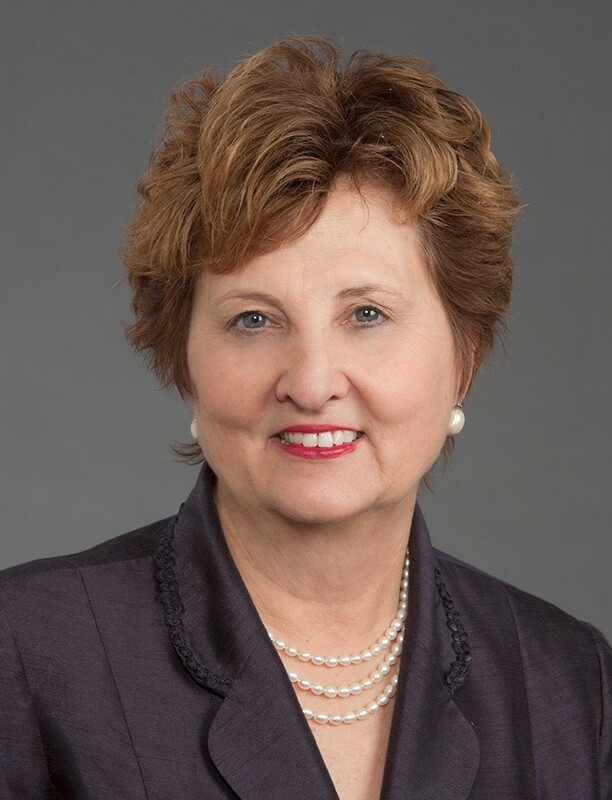 She has been a WFBH champion and leader of multidisciplinary teams to align and integrate acute care and post hospital care services in home health, nursing homes, dialysis centers, primary care, and palliative and hospice care. To help manage social determinants of health she is partnering with community service agencies and integrating care management with Wake Forest Baptist Health and Faith Ministries programs. She works collaboratively with the Northwest Community Care of North Carolinas to integrate their care coordination programs with care at Wake Forest Baptist Health. Duncan is in essence reengineering and evaluating care delivery models to manage post acute services for patients with medically and socially complex chronic conditions. The goals of the programs are to ensure patients receive their goal directed care at the right place and at the right time to optimize function and quality of life and to lower costs. The goal of this pragmatic cluster randomized trial of 50 NC hospitals is to determine the effectiveness of Comprehensive post-acute stroke services (COMPASS), a patient-centered intervention uniting transitional care management services and elements of early supported discharge in stroke patients discharged directly home. A Trial of Rehabilitation Therapy in Older Acute Heart Failure Patients, is a multicenter, randomized, attention-controlled, single-blind trial designed to examine the hypothesis that, in addition to standard care, a novel, tailored, progressive, multi-domain rehabilitation intervention administered to older patients with acute decompensated heart failure (ADHF) beginning early during hospitalization and continuing for 12 weeks will improve physical function and key clinical outcomes, including the rate of hospitalization. The major goals of this project are the developing, testing and dissemination of effective therapies for the treatment and prevention of physical disability in later life, and training the next generation leaders in clinical geriatrics research. This retrospective observational comparative effectiveness study goals are to compare the receipt of inpatient rehabilitation to community level services and to compare inpatient rehabilitation facilities to skilled nursing facilities and home health agencies to outpatient centers of care. Such evidence-based knowledge about the comparative benefits and harms of the options will be essential to guide future practice. This is a cluster randomized trial to determine the effectiveness of an evidence-based, patient-centered intervention that will combine elements of ACOVE-2 practice redesign; a multifactorial, individually-tailored intervention developed at Yale; and practice guidelines offered by the CDC’s “STEADI” toolbox and the joint American Geriatrics Society/British Geriatrics Society guidelines. Dr. Storer is an expert in the assessment of physical function, exercise physiology, physical training and the effects of anabolic therapies on muscle. He is currently the Director of the Laboratory for Exercise Physiology and Physical Function in the Research Program in Men’s Health: Aging and Metabolism, Brigham and Women’s Hospital, Harvard Medical School. His insight and expertise in the methods for the assessment of muscle performance and physical function have been crucial to the success of previous studies of androgens in men and women. He also is an internationally recognized expert in exercise interventions in older adults and in persons with chronic disabling conditions. 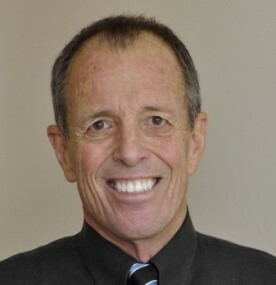 He is the co-author of a textbook on cardiopulmonary exercise testing and interpretation and has served as the Chief Exercise Physiologist for the NIA-funded Testosterone Trials and numerous other NIH- and industry-funded trials of function promoting therapies. He serves as co-chair of the Physical Components Subcommittee for STRIDE and as a resource for exercise interventions for FCMs and exercise providers.